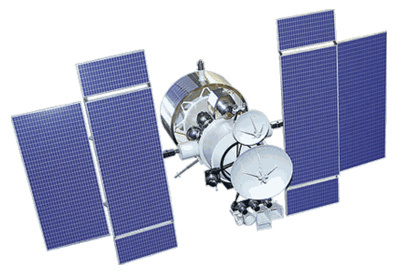 Raduga is a series of Russian/Soviet communications satellites in geostationary orbit stationed at either 35° or 85° E; their name means 'rainbow'. Some Radugas are dedicated to military use; others support national and internal communications. Several dozen of these satellites have been launched since 1975. On July 5, 1999, the Proton launch vehicle carrying a military Raduga exploded after liftoff scattering debris near Karaganda. As a result of this accident the Kazakh government suspended launches from Baikonur pending Russian agreement to pay back part of the rent it owed. Raduga satellites are known internationally as Statsionar.